HNB Garhwal University has declared the B.Sc (Bachelor of Science) III (Final) Year result of session 2013. It is declared today by the University. So now you can check your results online. The Examination of B.Sc was held on April month of 2013 and after examination I think all the students are waiting for their result. So now your wait is over because the result is declared today. 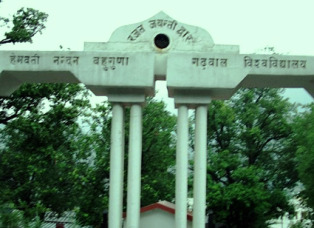 The HNB Garhwal University is a central University of Uttarakhand state. So you can easily check your results online. Here below I am giving you a link to get your result online, click this link and submit your registration or roll no. on the given appropriate box and click to submit given button, and then you will get your result. Read more for other results of HNB Garhwal University. Click here to get your B. Sc III Year result. For more details about upcoming results and exams stay connected with our site or you may also subscribe us by email. I wish you best of Luck for your results.